Optimal health requires optimal nutrition. No one can deny the importance of bodily nutrition. Our energy levels, ability to cope with life’s challenges, and even mental attitudes are directly linked to the regular intake of the right foods in the proper amounts. Eat an unbalanced diet, consume too many sweets, choke down too much too quickly, or start skipping meals and you’ll invariably endure the consequences. You might feel sick or light-headed. You may become irritated or depressed. Sometimes, you’ll get a little shaky; my family calls it “getting the jitters.” These symptoms are the body’s way of saying it’s lacking sufficient nourishment. The same applies to spiritual health. Without sufficient and regular biblical nutrition, our inner lives suffer. 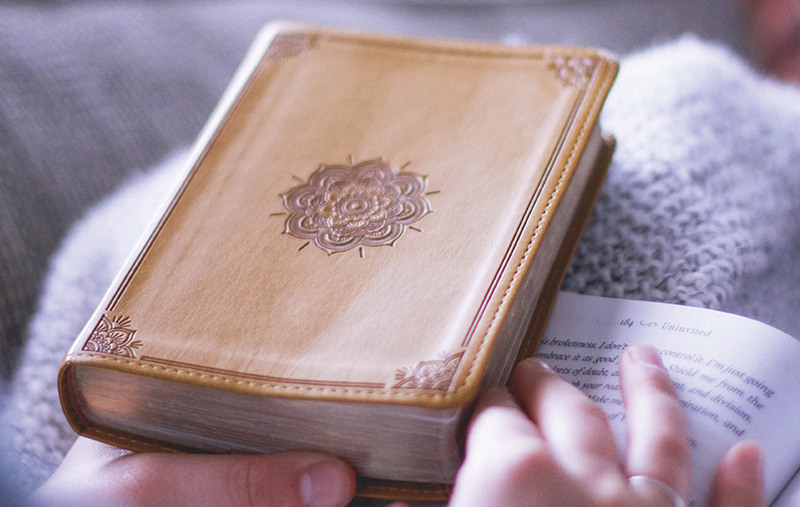 Our souls long to be nourished and energized by the Scriptures. When we fail to set aside consistent time to digest healthy spiritual food, the consequences kick in...and it’s not a pretty sight. We start to operate out of the flesh rather than God’s Spirit. We become shallow and selfish, more demanding, less gentle. We react impatiently, rashly, and angrily. All tell-tale signs of inner malnutrition. For your soul to be properly nourished, it’s not enough to have a pastor or a teacher serve your spiritual meals once a week. YOU need to be able to prepare your own spiritual food on a daily basis. Psalm 119 reveals three amazing promises that God fulfils in you when you feed yourself His Word. Verse 98 holds the first: “Your commands make me wiser than my enemies.” You will have wisdom beyond that of those who say ugly things against you. God’s Word enables you to live above intimidation and threat. Verse 99 offers the second: “I have more insight than my teachers.” The filter of Scripture equips you to recognize truth. You’ll have more insight than your professors or supervisors. You won’t be bullied or intimidated by anyone who wants to attack your faith. God promises to give us insight for living! Verse 100 gives the third promise: “I am even wiser than my elders.” You don’t have to wait until you’re old to gain wisdom. The Scriptures give us a leg up on people decades older than we are when it comes to understanding. Simply put, studying God’s Word yields wisdom as well as insight and understanding. We often use these words interchangeably, but they’re not the same. Your spiritual health depends on your fixing your own spiritual meals and then savouring God’s truths. There are at least five ways to get God’s Word into your system, and an easy way to remember them is to use your hand as an illustration. So, get out a piece of paper, trace your hand, and write the following points on your five fingers. Your pinkie finger represents hearing the Scripture through expositional teaching. Hearing is the simplest way to take in the Word. “Faith comes from hearing,” wrote the Apostle Paul (Romans 10:17). Your ring finger represents reading the Bible. You take a giant leap forward when you move from being merely a hearer of the Word to a reader. So, find a Bible-reading plan and stick with it! Your middle finger represents studying the Scriptures. Studying is reading with pencil and paper. Studying means writing down your observations, noting the text’s meaning, looking up related verses, and recording how you plan to put God’s Word into practice. Your index finger represents memorizing Scripture. You truly begin to consume Scripture when you hide it in your heart. Finally, your thumb—which wraps around the rest—represents meditating on Scripture. The psalmist wrote, “I will study your commandments and reflect on your ways” (Psalm 119:15). That’s meditation: taking time to reflect on God’s Word and let it soak into your heart.